Easter Sunday this year fell on the feast day of St. Isidore of Seville, a wonderful saint. He lived from about 560 to 636 and is among the last Church Fathers. This council also mandated that every diocese have a college-level seminary and at least one “cathedral school”. The document interestingly did not elaborate on admissions requirements for seminaries but did stipulate that men who, during the course of their time in seminary, had proven to be “gifted” would be allowed to proceed to Holy Orders. Those who did not demonstrate this kind of brain power were to become monks. Case closed. Isidore created with his own pen a large repertoire of writings that served the Church and society as a whole very well. He wrote at great length on the doctrine of the faith, rules and practices of religious, and his most famous of all: a huge etymological encyclopedia. 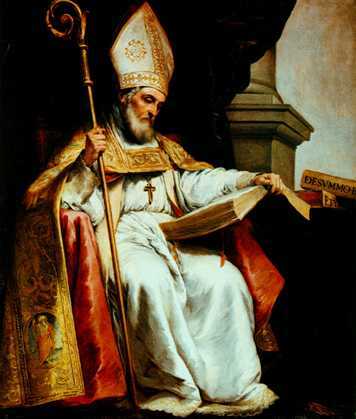 So, how does Saint Isidore of Seville become the patron saint for the Internet? The Observation Service for Internet, who drew it’s mission from the Pontifical Council for Social Communications, researched the Internet and related technologies to select a patron saint that best reflects the concerns and ideals of computer designers, programmers and users. The saint chosen by the Observation Service for Internet was Saint Isidore. “The saint who wrote the well-known ‘Etymologies’ (a type of dictionary), gave his work a structure akin to that of the database. He began a system of thought known today as ‘flashes;’ it is very modern, notwithstanding the fact it was discovered in the sixth century. Saint Isidore accomplished his work with great coherence: it is complete and its features are complementary in themselves. That Isidore used information and knowledge–and the means by which they are transmitted–for the good of the Church and society must be noted. Lessons abound in that. St. Isidore: pray for us! ← Hallelujah! He is Risen! He is Risen Indeed!